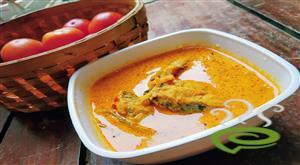 Kerala Style Fish Curry or Naadan Meen Curry can be prepared in different ways. Here you will discover an authentic and tasty Kerala Style Fish Curry prepared in an earthen pot. 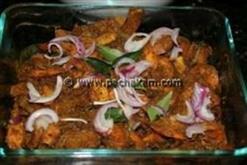 Preparing fish in ‘meen chatti’ enhances the flavor of fish curry dishes. Kerala Style Fish Curry tastes best with tapioca and rice. Kerala Style Fish Curry is unique and special with red hot spicy gravy and tangy flavor. 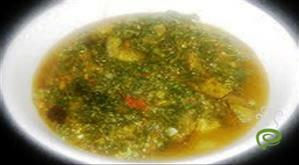 Fish is nutritious rich in omega-3 fatty acids and essential vitamins and minerals. 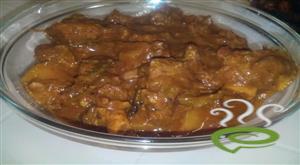 You can explore a well illustrated Naadan Meen Curry here that can be easily prepared at home. For preparing Kerala Style Fish Curry (Naadan Meen Curry), first clean the fish and cut into small pieces. Chop small onion and tomatoes. Roast turmeric powder, chilli powder, coriander powder, pepper powder and fenugreek powder together in a pan on low flame without oil to remove the raw smell and taste of these powders. 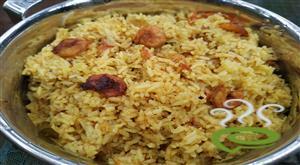 Heat oil in a pan (traditional `meen chatti` is the best). Add mustard seeds along with ginger-garlic paste. 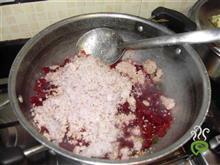 When the ginger garlic paste is fried, add chopped small onion and saute till it becomes very soft. Add chopped tomatoes and mix it well. When the mixture reaches the consistency of a curry paste, add the roasted masala along with kudam puli, salt and required quantity of water and bring it to boil. Now add the fish pieces and mix it well. Cover it with a lid and cook it on a medium flame until the dish reaches the correct consistency (not too watery or too thick). 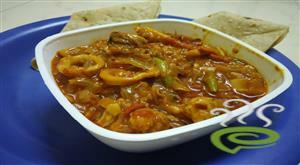 :- Serve Kerala Style Fish Curry hot with kappa vevichathu or plain rice. Nalla Meen Curry, it was so nice with hot rice. Thank you for this nadan meen curry. 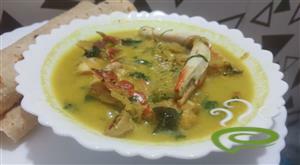 what a fish curry recipe.. everyone loved it..